Master Plan for floating new town in Edinburgh, Scotland. 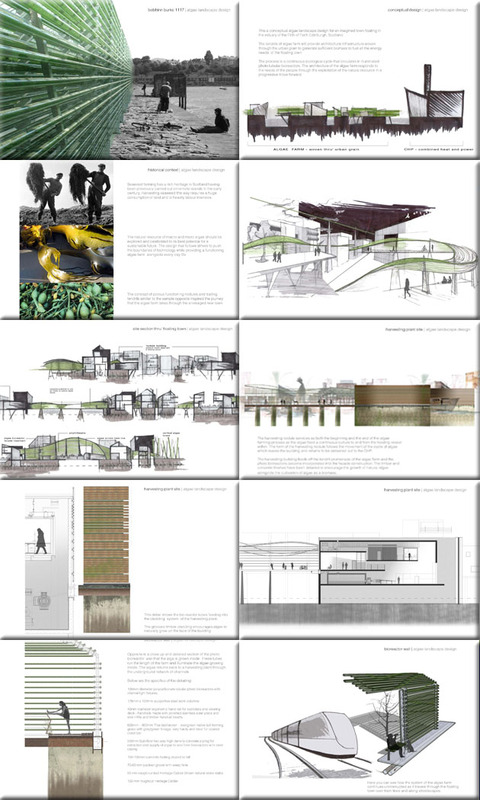 An imagined masterplan where an algae farm is integrated in the town landscape in the estuary of the Firth of Forth. Daily life continues alongside the cultivation of fuel that services it. Photobioreactor tubes weave around buildings and link islands of the new town together. For more information about this entry, contact the author. email: hello@bebhinnburke.com.